Easy sweet and sour chicken is a great meal that you can cook on top of the stove in less that 45 minutes. Don’t you just love a great dinner that can be put together in less that one hour? This makes it so nice when you are short on time and need an idea or two. This easy sweet and sour chicken is one of them. Easy sweet and sour chicken is liked by most people. And if you have an issue with peppers, or someone in your family has an issue with peppers, you may just want to leave them out. I think that it changes the taste a little, but you can be your own judge. I love the spring weather; today I opened all of the window and enjoyed some fresh air. The sun has been shining and the birds are singing. I can even see some flowers starting to poke their heads out of the ground. Today I went to the Doctor with my daughter so that I could watch her kids while she saw the Doctor. Right before she went in, her little one tripped on the carpet and smacked her head on the corner of the chair. Ouch! Within just a few seconds, she had a huge goose egg on her head. I felt so bad. We quickly got an ice pack and put on it, but it was still a pretty good size. Poor little thing, that is no fun to get a goose egg like that ever! Maybe you do not call them goose eggs. What other things do you call it when you get a big bump on your head? Where I grew up, that is just what we called it. The other day I read a wonderful article about kids these days. There was this mom, and her 5 year old daughter told her that she needed a spoon. The mom was busy cooking and also holding her new baby, and so the mom told her that she could go ahead and get herself a spoon. The 5 year old said to herself, almost under her breath, that she was grateful that her mom would remind her that she could do things for herself. So she got up and got her own spoon. I know that we always want more for our children than we had for ourselves. However I have also noticed that children do not want to wait until they have the money or wait to see if it goes on sale. They want it now and they are not willing to wait sometimes. I even find myself doing the same thing at times. I want something and I want it now and I even find myself wanting this for my children. Why don’t we want them to stress and strain like we did? How are they ever going to learn anything if we do everything for them? How will they learn to deal with emotions if we coddle them? And how in the world will they get along after we pass away? I know that my husband and I are trying to be better about letting our children learn things on their own. My son decided to donate plasma today. He is going to school and looking for a part time job. So he goes in and they take him in the back. They are looking for his veins and then, they didn’t tell him what they were going to be doing. They pricked his finger to check his blood and then all of a sudden he could not see. He said that he didn’t black out, but that he was really hot. They took his blood pressure and it was 70/40 and the girl that was taking his blood was new. I was not there, but my son said that she started freaking out and calling the other people to come over and help her. For about 1 1/2 minutes my son could not see. Yikes, I know that I am a little wimpy, and I am pretty sure that they get that from me. Now I can say that every one of my children have passed out at one time or another. I actually think that he had an anxiety attack. You need to let him know what is going on and what you are doing. Needless to say they told him thanks, but no thanks. Please do not come back! So I guess that my son won’t be donating plasma. On to looking for a different kind of job I guess for him. So tonight I am feeding everyone easy sweet and sour chicken. It is not breaded chicken, but is tastes so good. We love it over rice, but you could also eat it over cauliflower rice. A perfect way to get your extra vegetables in. 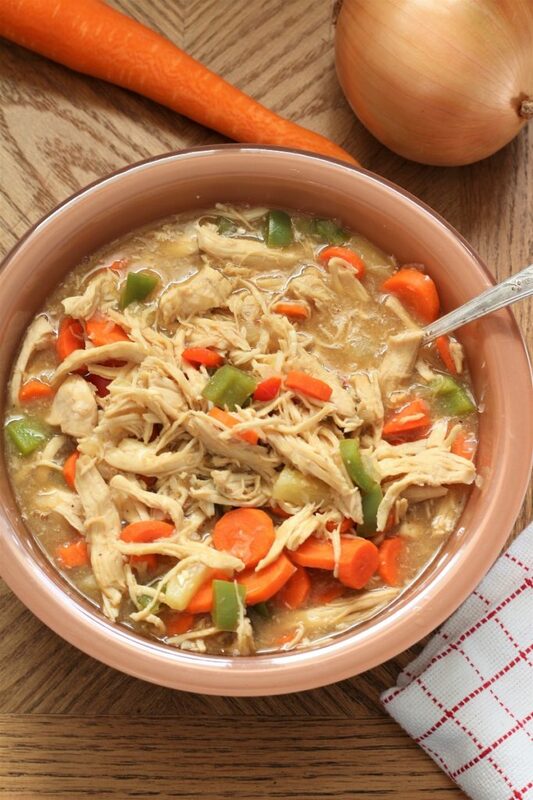 1- You may want to boil extra chicken and save some for a different dish. Shred it and put it in the freezer. 2- If you like your peppers a little softer and not so crunchy, you may want to steam them in the microwave for a minute. 3- Sprinkle the top of the easy sweet and sour chicken with salt and pepper if you like a little more seasoning. 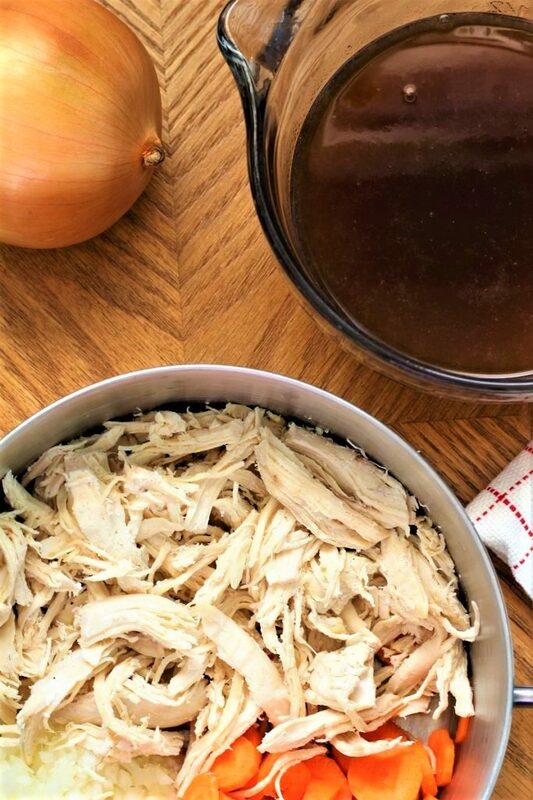 Boil chicken until it pulls apart easily, then shred it. Combine water, honey, vinegar, pineapple juice, soy sauce, and lemon juice, into a medium size pan. 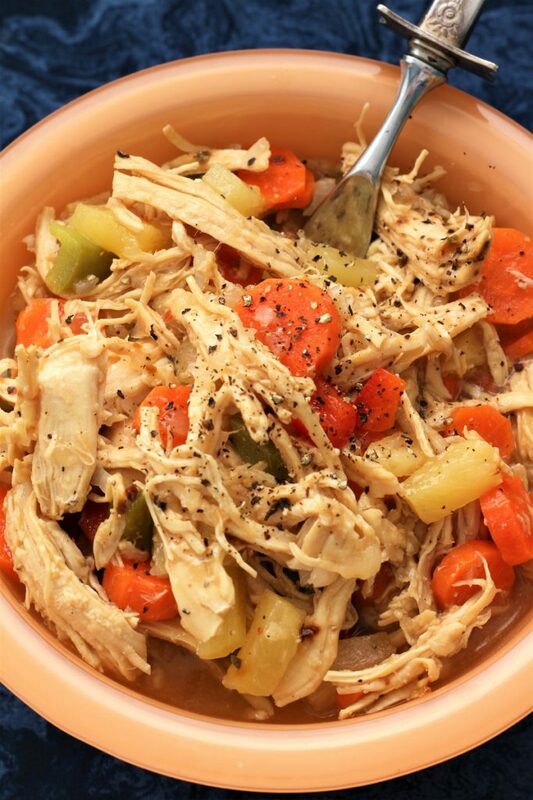 Then add the shredded chicken, the sliced carrots, and the chopped onions to the sauce, and bring them to a boil. I boil mine until the vegetables are the doneness that I like. About 7 - 10 minutes on low. In a separate container, combine water, and the cornstarch. Then add pineapple tidbits and green bell peppers (or any color that you like). That’s so scary what happen to your son!! Oh my goodness! 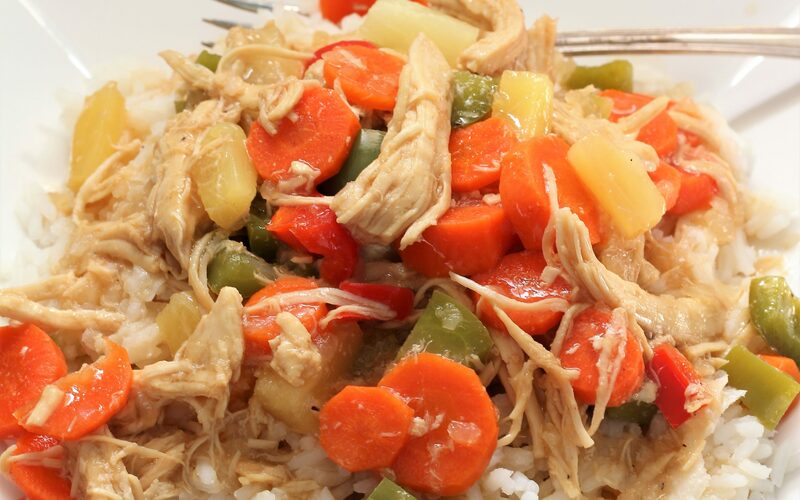 But this sweet and sour chicken dinner looks like something my family would LOVE! It was very scary, but he is one tough guy. Thank you Kelly for stopping by and checking out the Sweet and Sour Chicken.